This is a temporary tattoo drawn in the same handwriting used by Chloe to apply over her scars. 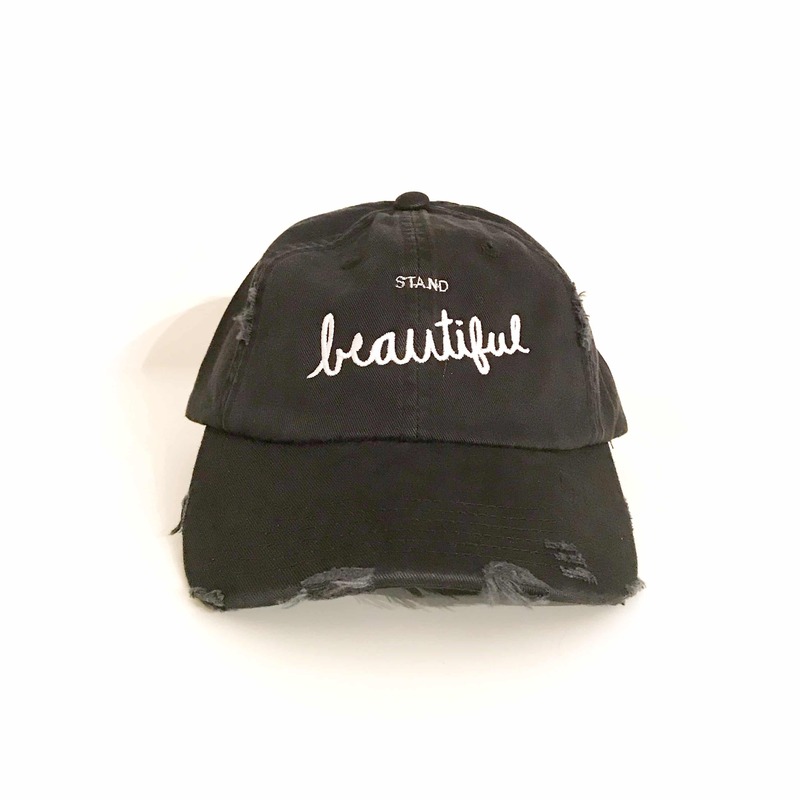 Why Beautiful? 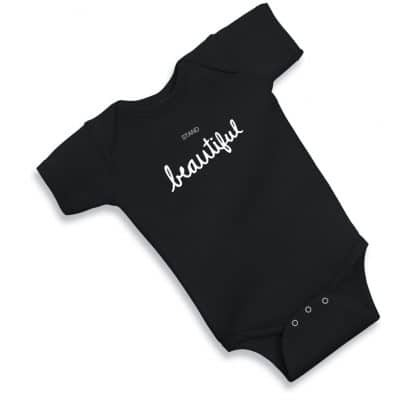 The message of “Beautiful” is that you are beautiful. The parts of us that society looks at and deems ugly, weird, or abnormal make us unique. Our differences make us who we are – and that person should be celebrated. 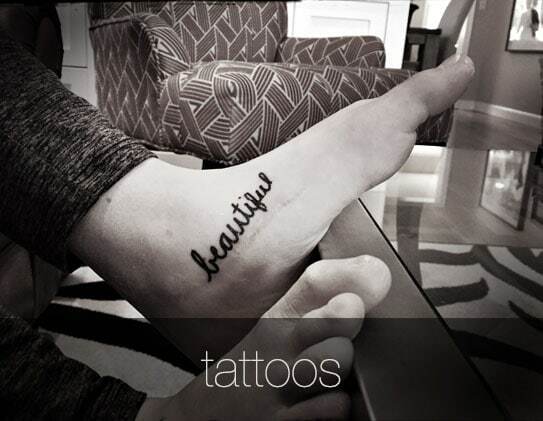 A Simple tattoo that reminds you that you are beautiful, differences and all. 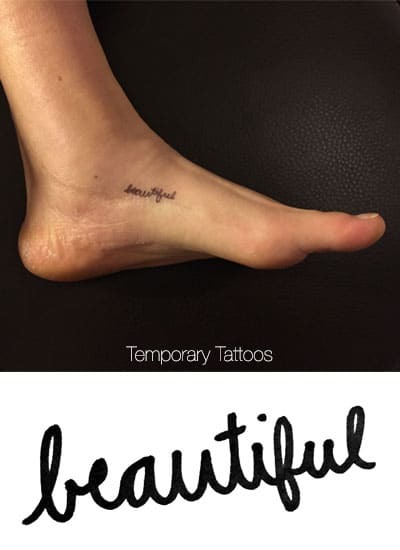 ‘STAND Beautiful’ tattoos are drawn in the same handwriting Chloe used to apply over her healing scars. She was born with a clubfoot, and is also a victim of assault. I think it’s time to re-define normal. Some people say I don’t look normal, but the way my deformed foot looks is normal to me. It’s my reality. And that’s just it – “normal” doesn’t exist. None of us are “normal” because we all have a part of us that is irregular, dysfunctional, or malformed – whether it’s exterior or interior. We all have separate realities; a different “normal”. So why try conforming yourself to fit the world’s “normal”? It’s a futile mission. Why put so much time and effort making yourself into the cookie-cutter standard of “normal” when you are perfect in your own special and unique way? I want to empower people of all ages to embrace their uniqueness and boldly face their beautiful selves. This small step has the potential to change the world, one person at a time. APPLICATION INSTRUCTIONS: Remove clear sheet and apply face down to clean, dry skin. Hold wet cloth against tattoo for 30 seconds. Reflect on your unique & beautiful self. Smile. Then peel off paper backing. Rinse lightly with water. Do not apply to sensitive skin or near eyes. Sensitive hearts are OK.